N.B. Many of our Cunard Line cruise deals are strictly “members only” and never released to the general public. If you were to step back in history to a time when there was some fine ocean liners taking moneyed people from place to place, you would soon come across the name Cunard. The cruise line stems from one man, Sir Samuel Cunard, and it is this man we can thank for starting a business that has culminated in some stunning and tempting cruises to go on today. Cunard started life back in 1839, but it would be some time yet before cruises as we know them today would be offered. Sir Samuel Cunard began by playing a key role in the movement of mail from the UK to America. However 1840 was the year in which passengers were first taken across the Atlantic on Cunard ships. Indeed they gave birth to cruise ships as we know them today. Some of their early ships included the Britannia – the first to take people from one side of the Atlantic to the other – and the Mauretania. Cunard is also the proud owner of the QE2, probably one of the most famous cruise ships in the world. While she is no longer with Cunard she still serves guests today as a first class hotel situated in Dubai. Cunard is arguably one of the finest cruise companies around today. The history and opulence that is indicative of a Cunard cruise is second to none. The words used by Cunard itself are ‘supreme luxury’ and that does indeed describe the surroundings, service and cruise experiences you can expect to have. 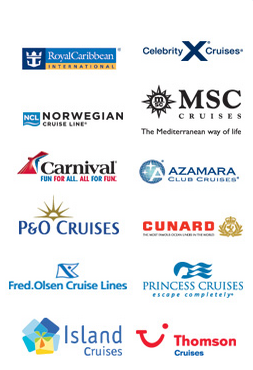 This is the cruise company to consider when you want nothing but the very best. Their luxury cruise liners are small in number but big in stature and you can be assured of the finest service on board them all. The six minute video below gives an insight to how time is spend onboard by day. You have an impressive selection of destinations at your disposal when you consider taking a cruise with Cunard. For example Europe alone offers ports in the Netherlands, Denmark, Germany, the UK, Sweden and Scotland among others. If you want to explore the Mediterranean you will be pleased to know the Cunard ships visit such ports as Casablanca in Morocco, Oporto in Portugal, Palma de Mallorca in Spain, Venice in Italy and Rhodes in Greece among others. If you prefer to take a trip to cooler climes you can opt for a cruise that takes in various ports in the Fjords, Iceland and the Baltic region. Other options include cruises to the USA and Canada, with Hawaii high on the list of delights as well. And that is not all – the Caribbean, the Panama Canal, the Canaries, the Mexican Riviera and much more are all available depending on the type and length of cruise you wish to take. 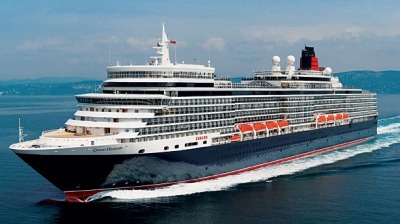 Cunard offers three ships – Queen Mary 2, Queen Victoria and Queen Elizabeth. Let’s explore each in turn so you have an idea of what to expect. The Queen Mary 2 offers an opportunity to stay in one of five different types of accommodation while on board. These range from a Queens Suite to a Grand Duplex. There are also plenty of bars and lounges to enjoy whilst you are on board, including the Chart Room and the Commodore Club. Leisure and entertainment is divided into three main areas – activities for the daytime, activities and entertainment for the evenings and also activities specifically created for children. This means you could be swimming on board, taking part in fitness classes or even listening to one of the guest speakers on every cruise. Put simply, the Queen Mary 2 offers the perfect cruise in every way. 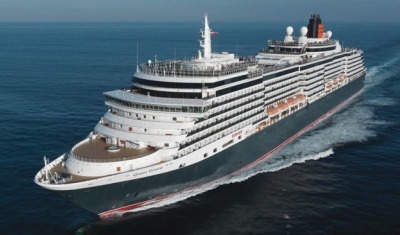 The Queen Victoria offers four separate accommodation options on board. The smallest is the Queens Suite while the largest is a Grand Suite. They also offer Penthouse and Master Suites. There are also no fewer than ten assorted lounges and bars to frequent during your time on board the Queen Victoria. You can sample the delights served in the Winter Garden – a conservatory on board – or visit the Golden Lion Pub, created in the style of a welcoming British pub. The Queen Victoria also offers a stunning array of leisure and entertainment options throughout each day and evening. You can indulge in a spot of shopping on board as well as sampling some afternoon tea. Alternatively you can settle back to watch a movie or have spa treatments at the Royal Spa. There is certainly no shortage of things to enjoy whilst on board. You have four types of accommodation to choose from on board a Queen Elizabeth based cruise. These range from the Queens Suites through to Penthouse and Master Suites, culminating in the largest suite of all, the Grand Suite. There are several fine bars and lounges to relax in during your trip, quite aside from the restaurants that are also available. You can try the Grills Lounge or the Midships Bar, depending on the ambience and surroundings you would like to sample. As for entertainment, the Queen Elizabeth has it all. You can try your luck in the on board casino, take part in a book club or visit the Royal Spa to choose your preferred beauty and spa treatments. 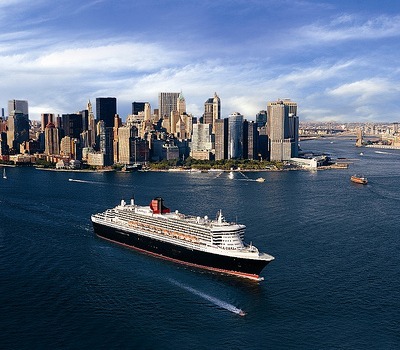 As you can see, a Cunard cruise is unlike any other cruise you could embark on. With luxurious surroundings, plenty to enjoy, see and do and lots of destinations to consider visiting, you are sure to find the ideal Cunard cruise to suit your requirements.